As a partner series to our Beer of the Week we will be reviewing our wine of the week. 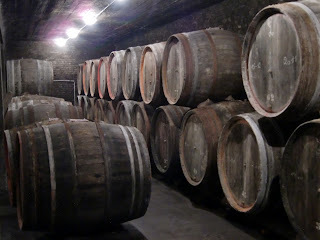 We will review and discuss a wine that we have drunk that week. This won't always be a wine we love but we will be honest and objective in our reviews. This year we have noticed a growing trend for lower alcohol wine. It seems like every wine company is bringing out a sauvignon blanc or riesling that is supposed to appeal to a market that watching the calories and alcohol. This is a great idea as long as the lower alcohol doesn't impact the flavour. The first wine we are reviewing for this series is a low alcohol sauvignon blanc from Malborough, New Zealand. The Doctors' sauvignon blanc is 9.5% is from the Forrest Estate and is the result of experimentation with careful fruit selection. The sweetness of the wine is unavoidable and may not to be to your taste if you are expecting a dry NZ style sauvignon. 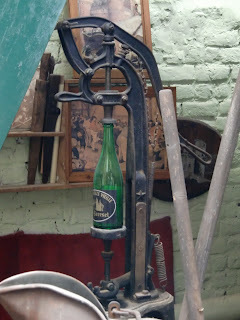 There is a bags of fruit, though and a refreshing acidity that cuts through that sugar. I was more impressed with Invivo's low alcohol Sauvignon, Bella, which caught more of the essence of the sauvignon fruit but with less sugar than The Doctors'. I think this wine has its place and would be perfect for a summer lunch or picnic. 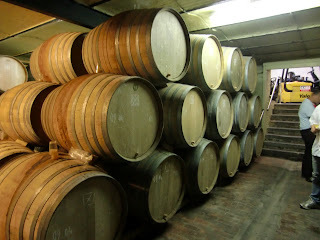 I am interested to try the Doctors' low alcohol Riesling which is a more traditional grape for making low alcohol wines. The Doctors' is available from Adnams Cellar and Kitchen and most supermarkets priced at £9.99. This is the first blog post in our beer of the week series. 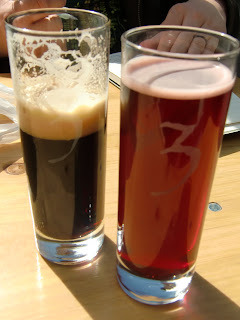 In this series we will review and discuss a beer that we have drunk this week. This won't always be a beer we love or even like but we will be honest and objective in our reviews. The first beer we are reviewing is Adnams Ghost ship from the can. We tasted a bottle of this back in May at the Beer Bloggers Conference so it was interesting to see if the vibrant citrussy hops would transfer to the canned version. entirely welcome. Perhaps it is something about the pasteurisation or maybe just my preconceptions but it was certainly something I tasted with Ghost Ship. 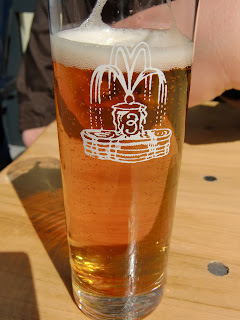 The malt character seemed to overtake the hops, gone were the light lemony characters I tasted first time round and instead there was summer fruits, like a field of strawberries. It is of course a very drinkable beer and far more enjoyable than Adnams' lacklustre lower alcohol effort, Sole Star. It it good to see Adnams putting their beer in cans. For too long there has been a bit of snobbery about beer in a can and putting good beer in cans is the only way to persuade the doubters. Ultimately though, I would buy Ghost Ship in a bottle where I think it's real character comes through and the American hops shine. 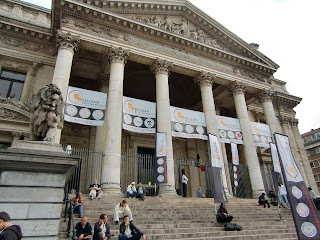 The Brussels Beer Festival was a lot of fun but exhausting. 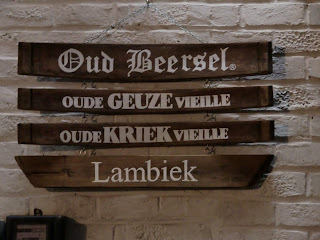 What we needed was a day of relaxation and so we headed to Beersel to visit two celebrated lambic breweries. It turns out that the trains to Beersel don't run on weekends so we were reliant on the buses to get us there - never ideal when you haven't a clue where you're supposed to be going. Luckily we drove right past the entrance to 3 Fonteinen on the way to our first stop at Oud Beersel, so knew when we had arrived in the right place. 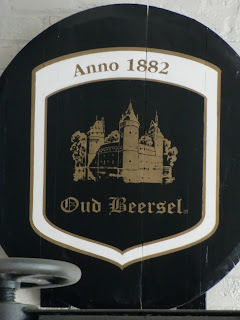 Oud Beersel only run brewery tours for two hours on the first Saturday of every month - as luck would have it the dates coincided with the holiday we'd booked. 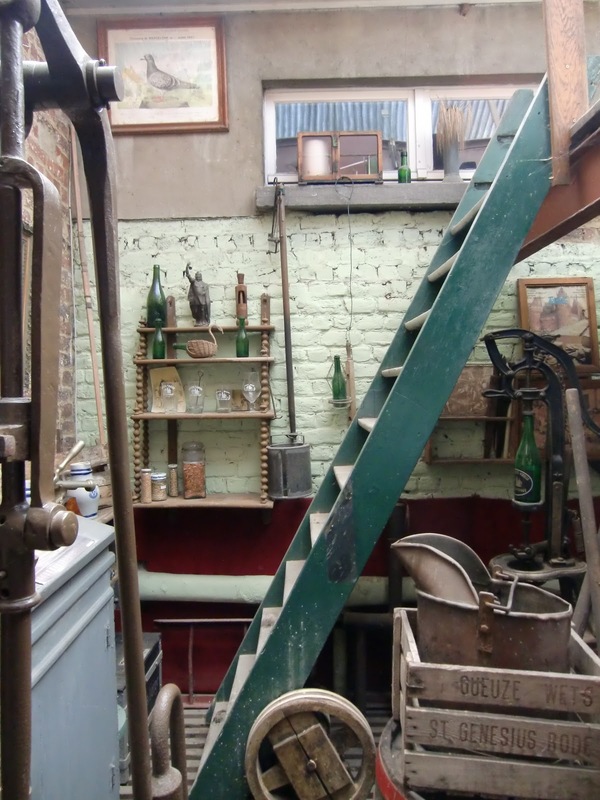 It's a lovely old brewery with lots of historic equipment as you can see from the photos. 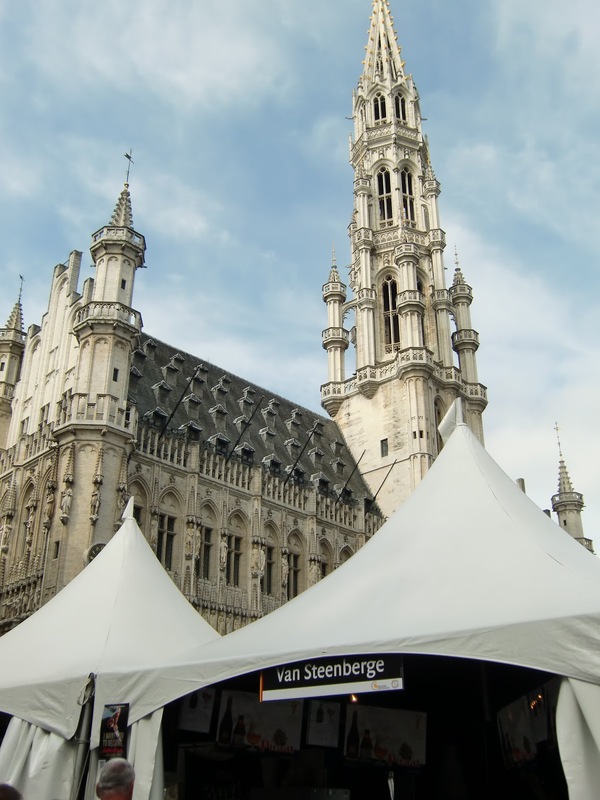 The tour was run by one of the head brewers who very patiently conducted the tour in both Flemish and English. 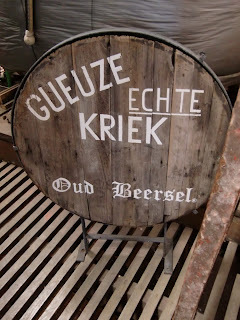 Similar to stilton or champagne, Oud (old) Kriek/Geuze is a protected term, and it has to be made using the traditional method. 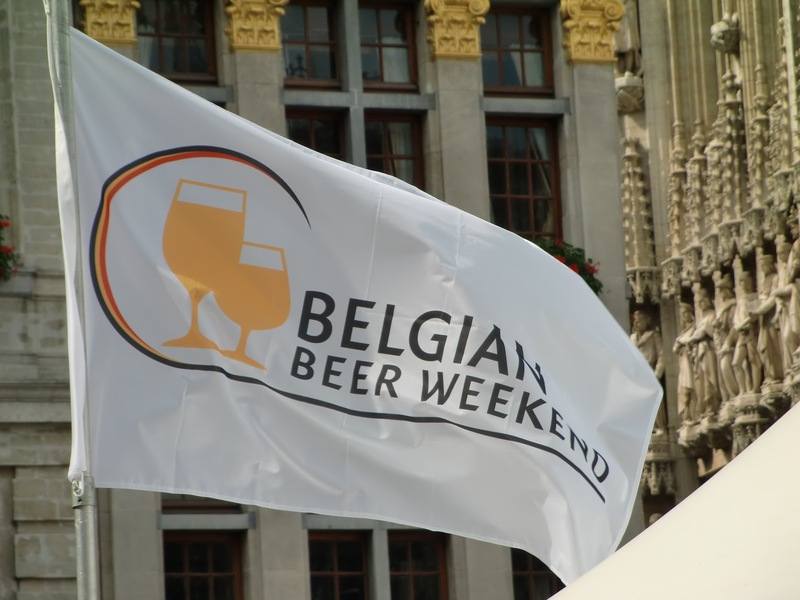 This requires that the beer is blended from spontaneously fermented, barrel aged, lambic beer. 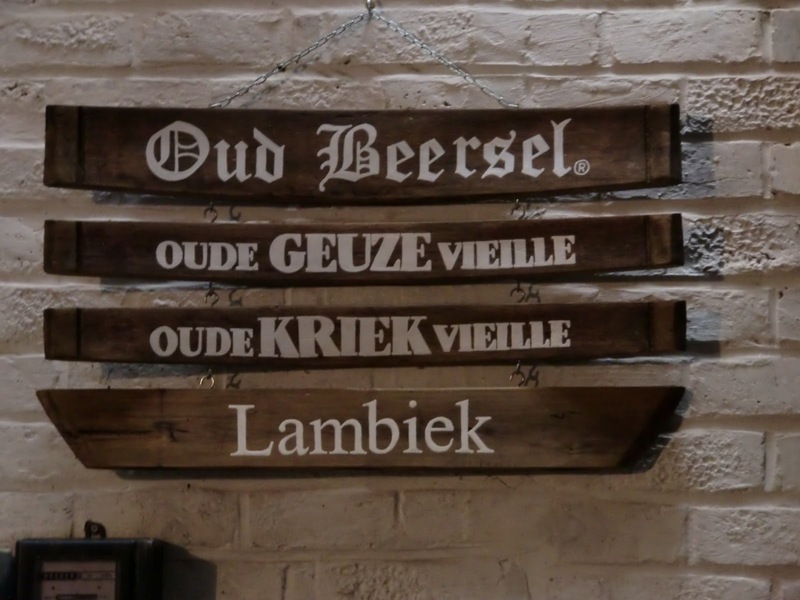 At Oud Beersel they use chestnut wood rather than oak for their barrels, and for their kriek they use 400g cherries per barrel - most other breweries will use around 250-300g. The wort for their beer is not brewed at Oud Beersel, it’s brewed at Boon. 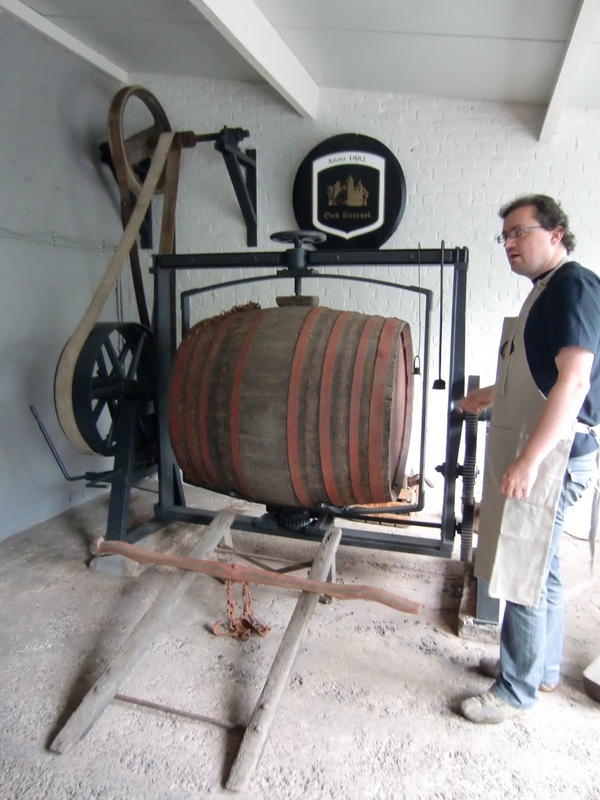 The brewery equipment is now used only for the barrel ageing process and as a museum. Although the wort is brewed at Boon, the differences in the recipe and then the blending make the resulting geuze distinctive from Boon’s. Their lambic has a distinctive and strong grapefruit bitterness. 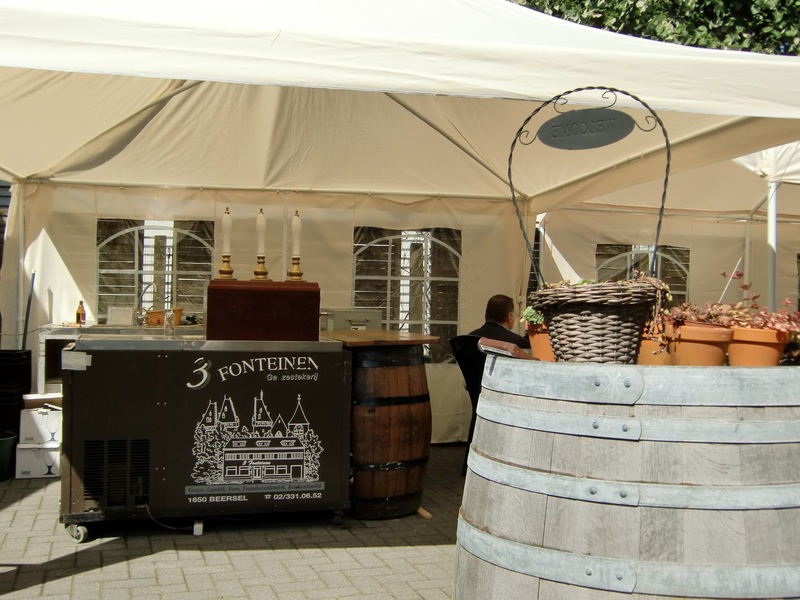 A ten minute walk down the road is 3 Fonteinen where, as part of their annual open weekend, we were treated to a brief talk/tour led by owner, brewer and lambic legend Armand Debelder. 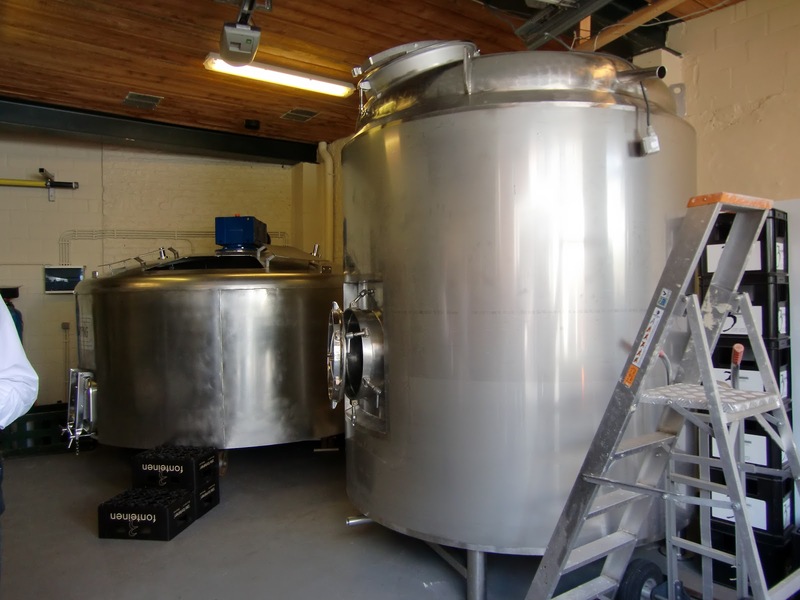 He discussed how the new brewery had been set up following a thermostat incident in 2009 which led to the majority of their product to explode and resulted in him having to sell equipment and many rare beers just to keep the business alive. The ruined lambic was distilled into an Eau De Vie called 'Armand's Spirit', which he sells at a premium price to help fund the re-opening of the brewery. We got to see a lot of the recently installed brewery equipment and barrels of new lambic which he had had brewed at various other breweries. It was heart-warming to see that the lambic breweries look out for each other and collaborate in order to continue making this important historical beer. 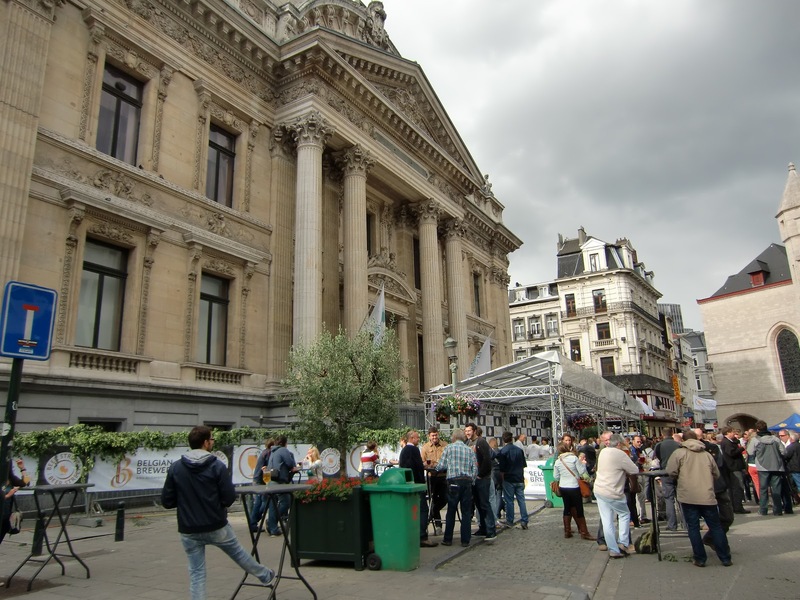 Armand acknowledges that making lambic and geuze is not an exact science, and there is no assurance the beer will be any good. 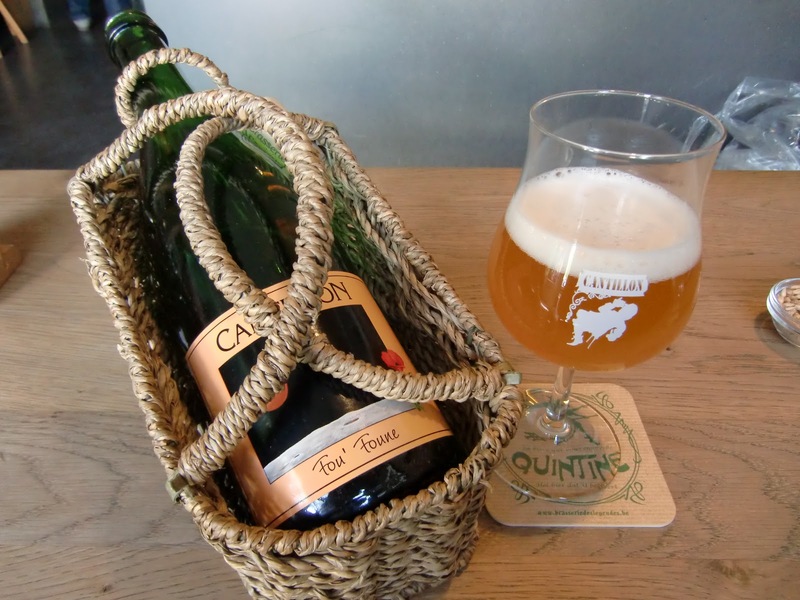 The most difficult part of making geuze is anticipating the flavour in x years time and the skill is in the blending of the different year's lambics. 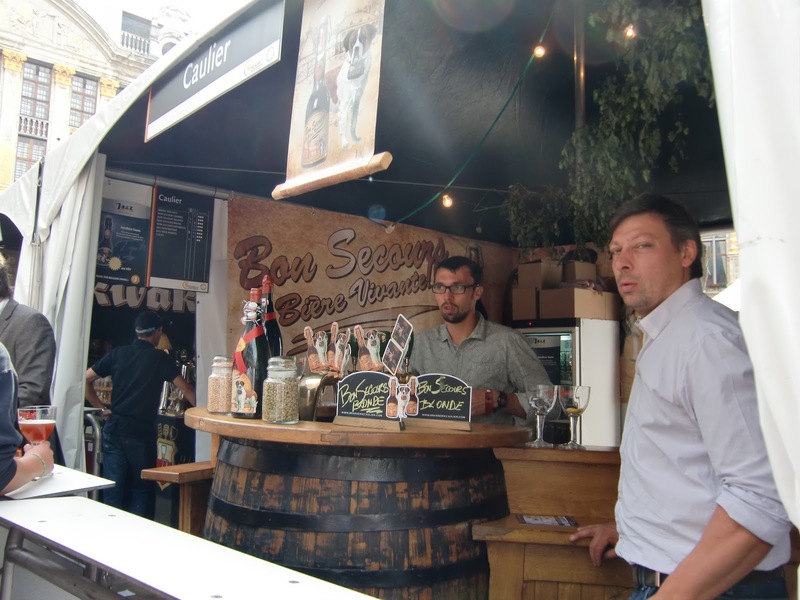 Here you buy beer made by a brewer not a banker! Good ventilation as the wort cools stops the fruit flies but also encourages the totally wild fermentation. 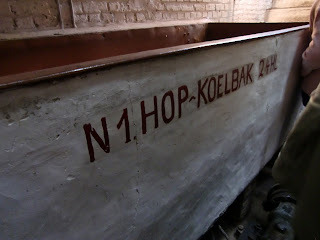 They use aged Belgian Challenger hops, unmalted wheat, but malted barley. The casks for 3 Fonteinen are from Bordeaux wineries, which can be used for up to 20-30 years. 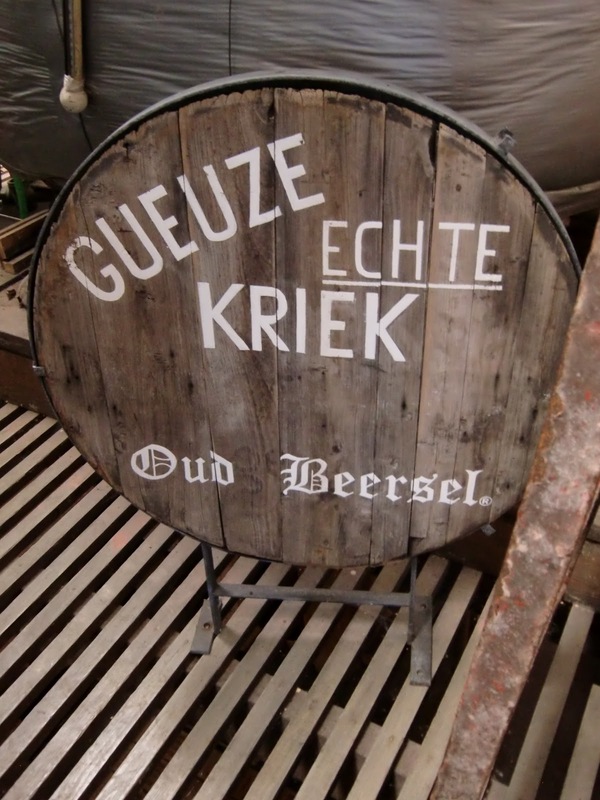 Geuze is always blended with the oldest lambic first as it has the most dominant flavour profile. 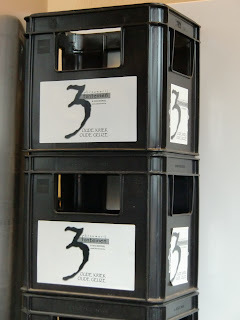 The oldest makes up about 15% and then the 1 and 2 year-old lambis are blended in to balance the flavours. No filtration is carried out, and the geuze ages and goes through secondary fermentation in the bottle. 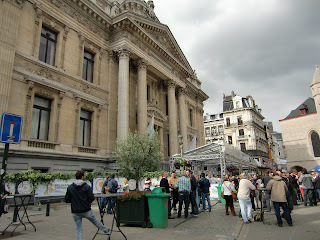 Beersel, the land of Lambic, was a welcome respite from the crazy beer fest. Newly opened Bubbledogs has proven to be a raving success, with queues out the door and bookings (large parties only) well into December. It was opened by husband and wife team, James Knappet and Sandia Chang, to celebrate the humble hotdog with the fizz it deserves. But unbeknownst to the throngs of people getting their meat and fizz fix, Bubbledogs hides a secret. Behind a heavy curtain, at the back of the dark and buzzy room, lies the second part to the Bubbledogs vision. The Kitchen Table is a chef's table style restaurant, serving a fixed multi-course tasting menu. Each of the nineteen seats is on the front row of the theatre with a perfect view of the kitchen and chefs at work. 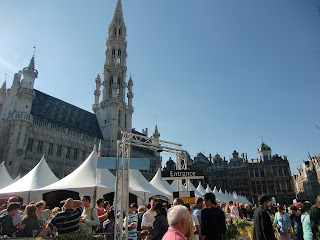 As a food fanatic I found this idea completely irresistible and so last Saturday we found ourselves pushing past the hotdog queue and into the calm of the kitchen. The menu, a list of twelve ingredients, is printed on handmade paper and illustrated by James himself. It changes daily and depends on what is in season and what James finds on his foraging trips. 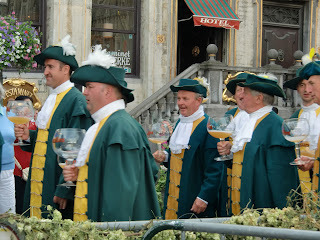 I should also mention the wine list which is short but varied and has a good number of them by the glass - essential for matching the wide variety of dishes that come your way. It goes without saying that the fizz section is top notch and so we started with a glass of Balfour 2008 Brut Rose from Hush Heath in Kent. A few snacky starters come our way in the first moments of the performance. Puffed pig skin is used to scoop up the creamy smoked cod roe. I hope this stays on the menu as the opening line because it's excellent. Pig skin is followed by chicken skin which is used as a kind of cracker for marscapone and bacon jam. The kind of dish you don't want to like but you do. This seems to be a theme of the menu, quality ingredients, well crafted flavour combinations finished with a rich layer of luxury. It reminded us very much of Thomas Keller's philosophy for his restaurants which makes sense as both James and Sandie worked at Per Se, his place in New York. They have some great crockery at the Kitchen Table, the purple bowl used to plate this scallop dish is as pretty as the purple cauliflower that came in shaved slices over the plump sweet scallop. I love turbot. No I really, really love turbot. Which is why it pains me to say that James and his team screwed me here. The picture above is of Claire's plate. She got the spacious semi detached end of fillet, whereas I got the compact middle of terrace. Joking aside, this was where the kitchen side seats are a real joy. Watching James cook and plate this turbot was fascinating and eating it was even better. The reason the kitchen table concept works for me is that I could pester James and his crew about the food as we ate it and they were happy to indulge. Here he explained he had pickled the rock samphire in a sugary brine to bring sharp relief to the smoky mussels. Hand made pasta, truffles, butter. Perfectly executed with a healthy acidity (from lemon or wine?). Autumnal almost to the point of cliché. There is a reason that these ingredients all come in season at the same time and it's probably so that dishes like this can be made. The recommendation from our waiter to switch to a glass of Domaine Schistes Cotes de Roussillon was spot on. If you have any doubt about the power of sous vide then you have to taste a slow cooked beef short rib. It's incredibly tender and has the flavour of a well aged steak. The meat is seasoned with smoked marrow and peppery nasturtium. This was dish of the evening for me. Another Kellerism with the composed cheese course? It certainly works here. Foraged damson jam would enhance most cheeses and the creamy, salty Castelrosso is no exception. A winner of a dessert and the first time Claire has eaten figs and enjoyed them. We loved the refreshing mousse and ice cream with the soft ripe fig. We missed taking a photo of the Pear cake with liquorice ice cream but Kang has taken one here if you are interested. It was at this point that we ordered a bottle of Pyramid Valley Rose Late Harvest Riesling to go with our desserts. Tunnocks teacakes have finally got the respect and revamp they deserve. Crisp biscuity base, jammy blackberry marshmallow and a crisp chocolate shell? I'm in. I was very impressed with the concept of the Kitchen Table. 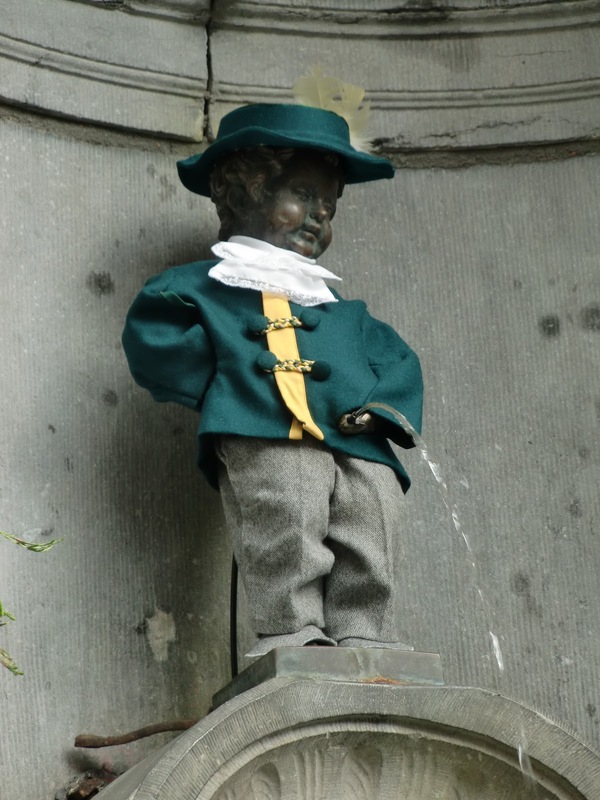 From the moment I walked through the curtain I couldn't wipe the stupid grin off my face. It's a fascinating look into a modern restaurant kitchen interspersed with commentary from the chefs and waiting staff. The only drawback to this is that it's quite easy to become distracted from conversations with your dining companions, so if you like your meals out to be discreet and personal then this might not be for you. But if you want to see skilled chefs preparing exciting British food then book now because I can see this being the next hot reservation in town.